Your pricing page is the most important page on your site. A potential customer browses through your site, learns about your product and what you have to offer. By the time they get to the pricing page, they make a decision upon whether or not they will subscribe to your software, or carry on elsewhere. A study from Econsultancy states that only 22% of businesses are satisfied with their conversion rates. If you want to beat the odds, focus on the little things that will convert big results. Be transparent, clear, and obvious. Make it easy to sign up because the value is so obvious. 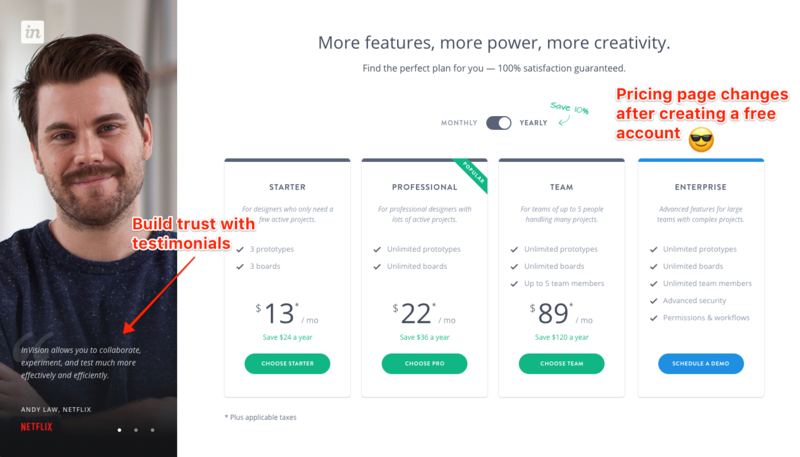 In this article, I'll teach you how popular SaaS companies design their pricing pages to convert visitors to customers. I will also explain the psychology behind their decisions. Make it clear to your audience that for X amount of dollars they will receive X amount of features. Give customers a reason to buy your product. Whenever you show a price tag, remind them why it's a good value. Then close the sale with a call-to-action. ‍Spotify designed a simple and convincing pricing page. They organize content so you know the value. The benefits are obvious, the call to action is clear, and best of all they offer you 30-days free, so there is no risk to join. This page makes me want to sign up and I’ve been a premium member for years. As I went further down the Spotify pricing page rabbit hole, I learned they have three secondary plans. These additional plans have unique features, benefits and pricing. Don't cram everything onto one page. Plan and test various user flows to keep customers interested. ‍Underneath their two main plans, Free and Premium, Spotify lists three specialized plans for Students, Playstation, and Family. 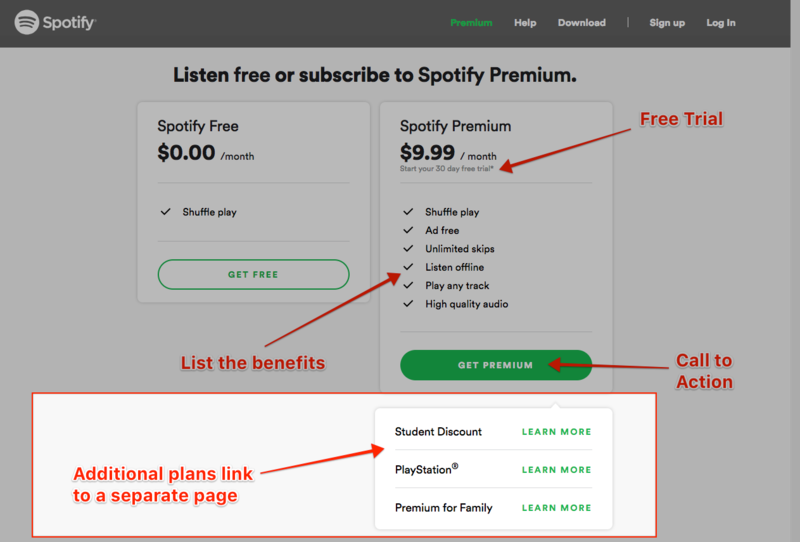 If you click on “learn more” for Premium for Family, Spotify directs you to a landing page that goes into detail on the benefits, FAQ, and how billing works. On Jira's pricing page, Atlassian uses a technique called "suggestive selling" to convince you to try additional products. When you begin to sign up for Jira, the company suggests to add on another one of their products. This is a common sales method known as suggestive selling. There's no need to overcomplicate your page. A great user experience is written in plain language, and directs the visitor to take action based on the goals of the business. Google does an excellent job slimming down the pricing page for Google Drive. They answer all of my questions including: How much space do I get for my money? How easy is it to upload new files? Is it secure? Will it sync across all of my devices? There's no need to overcomplicate things. Google Drive keeps things light and straightforward on their pricing page. The pricing page of Stripe is good-looking, easy to read, and clear. They don’t over complicate things and use color and contrast to separate two plan types: Pay as you go vs. an enterprise plan. Stripe incorporates gorgeous branding and simple design to attract potential customers. 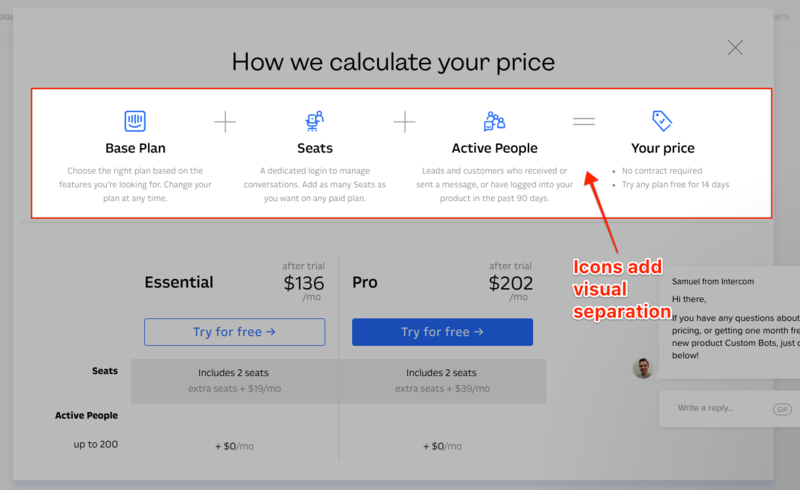 InVision’s Pricing page is IMPRESSIVE! I have a lot of respect for InVision mainly because they know design inside and out. They pay attention to every level of the customer experience and consider all of the touchpoints. InVision allows new customers to sign up and use their product in 1 step. You enter your name, email address, create a password, click “get started” button, and then you are immediately thrown into the product experience where you can experiment with prototyping, freehand, and explore features. InVision includes a quick sign up form on their pricing page to turn visitors into customers. After I created a new account, I revisited Invisionapp.com/pricing and noticed the page was different. 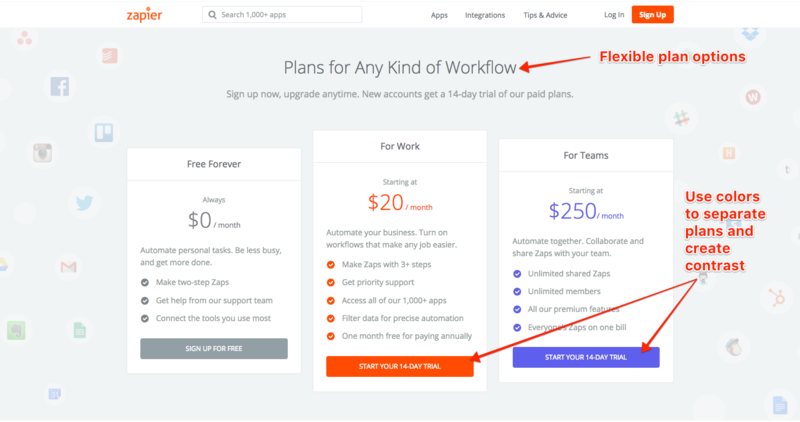 InVision uses conditional pricing pages based on the customer journey. They designed 2 pricing pages, 1 to get people’s foot in the door, and then another to upgrade their plan after signing up. 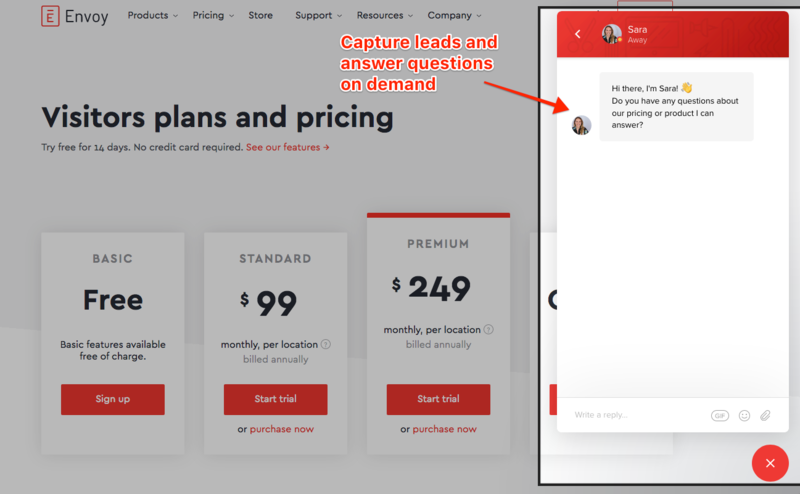 InVision designed 2 pricing pages, 1 to get people’s foot in the door, and then another to upgrade their plan after signing up. Pricing can be complicated, but it doesn’t have to feel that way. Play with different components, and get creative. Design an interface to help the user achieve their goals. Autopilot, a visual marketing and automation tool, includes a dynamic visual pricing slider to allow you to explore costs based on the number of contacts. 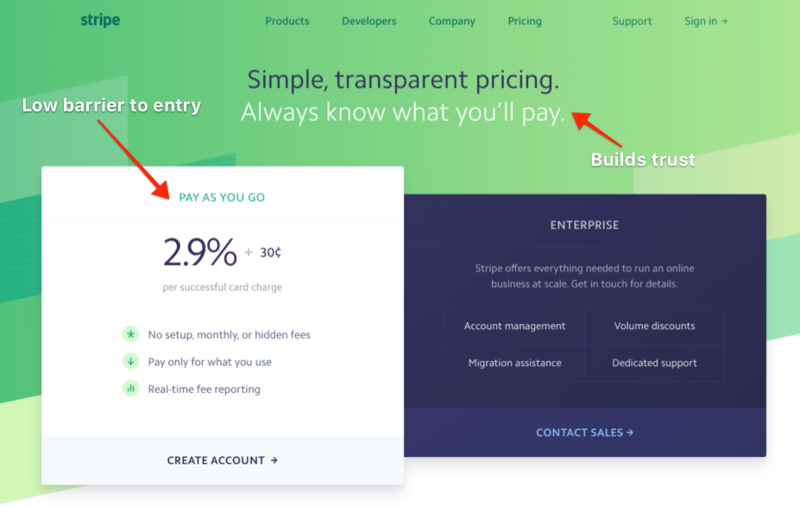 Intercom practices transparent pricing and adds visuals so visitors can grasp how pricing works. Comparison tables are common on pricing pages. It's helpful to list features side-by-side, so the customer can choose a plan based on their needs. When you have a lot of information, try nesting content into sections. Look at Zendesk’s pricing tables, for example. Zendesk utilizes collapsable pricing tables to focus your attention on one section at a time. At first glance, you see a general idea of available features, then you can view more by expanding sections. Zendesk collapses content into drawers, to avoid overwhelming visitors and make information accessible. Make it easy for visitors to select a plan, by suggesting the most popular option. 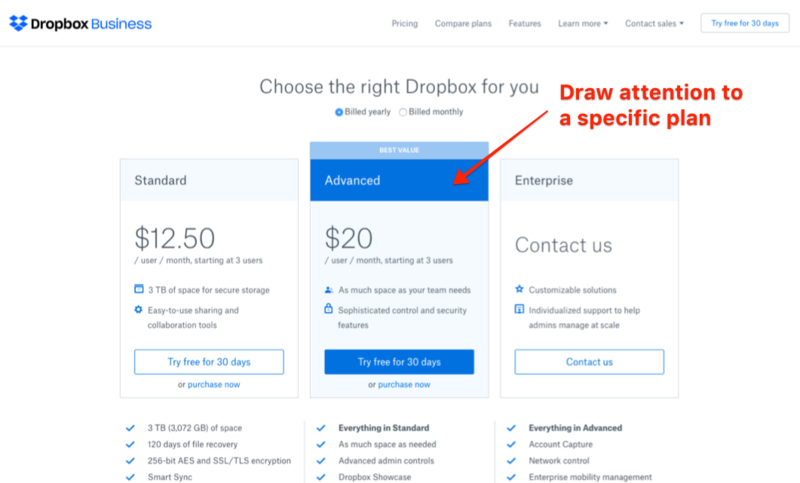 ‍Notice how Dropbox draws your eye to the center of page toward the Advanced Plan. The designer paints the center column blue to attract you to the “best value” recommended plan. Attention and time are the most valuable resources a person can offer. Show visitors that you respect their time. Separate pricing plans into personas and allow people to access the plan that makes sense to them. Adobe offers a lot of options. You can subscribe to 1 app for a lower price or gain access to the entire Creative Suite for larger cost. Adobe’s pricing page divides personas and plans into sections. There are a ton of options for every type of potential user. ‍Lucidchart’s dropdown menu gives you a quick pricing estimate based on the amount of users that you need. Save time and energy for your sales reps and answer as much as you can up front. Atlassian created a pricing calculator so visitors can immediately know the costs to sign up. Atlassian's pricing calculator is a useful tool for visitors to estimate costs quickly. 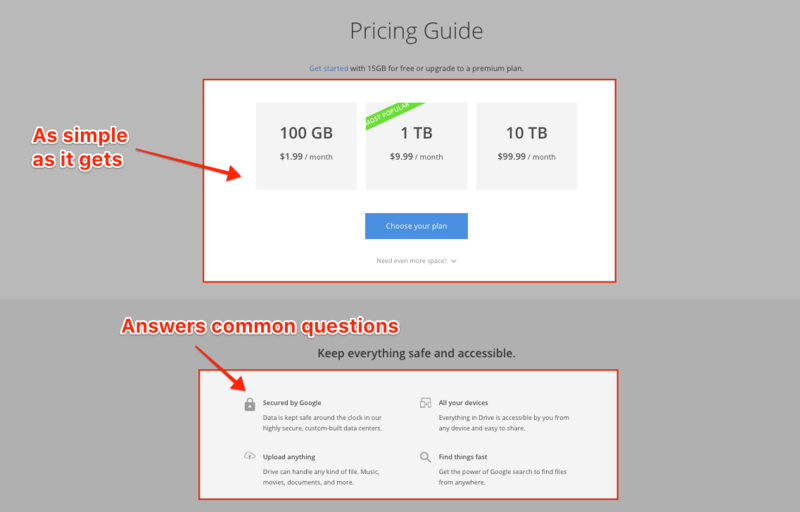 The pricing calculator is located in the FAQ section of the pricing page. Convert visitors to customers with exceptional customer service. Install a messaging bot like Intercom or Drift so your sales team can answer questions on demand or reply by email at a later date. According to Hubspot, 48% of consumers would rather connect with a company via live chat than any other mean of contact. The messaging bot on Envoy's pricing page gives visitors access to on-demand customer service. Zapier adds visual contrast with color to draw your eye to different plans. Many SaaS businesses offer a free trial or a free version of their product to get people in the door. At CloudApp, you can use our product for free. But we're lucky to have a large percentage of customers upgrade their plan because they want access to our extra features. People want a low price for a high-value. Always make them feel like they are receiving a lot for their money. Describe what the product does, and if it's useful and good, people will want to pay for it. If you want more sales, you have make it as easy as possible for visitors to understand your product and how it benefits them. Personas are the key to sales. Get clear on who your target audience is and speak directly to them. Always stay open to feedback, test your page, and revise until you meet your goals. Thanks for reading and please add suggestions, questions, and comments in the section below. Andi Galpern a UX Content Strategist and Product Designer at CloudApp. 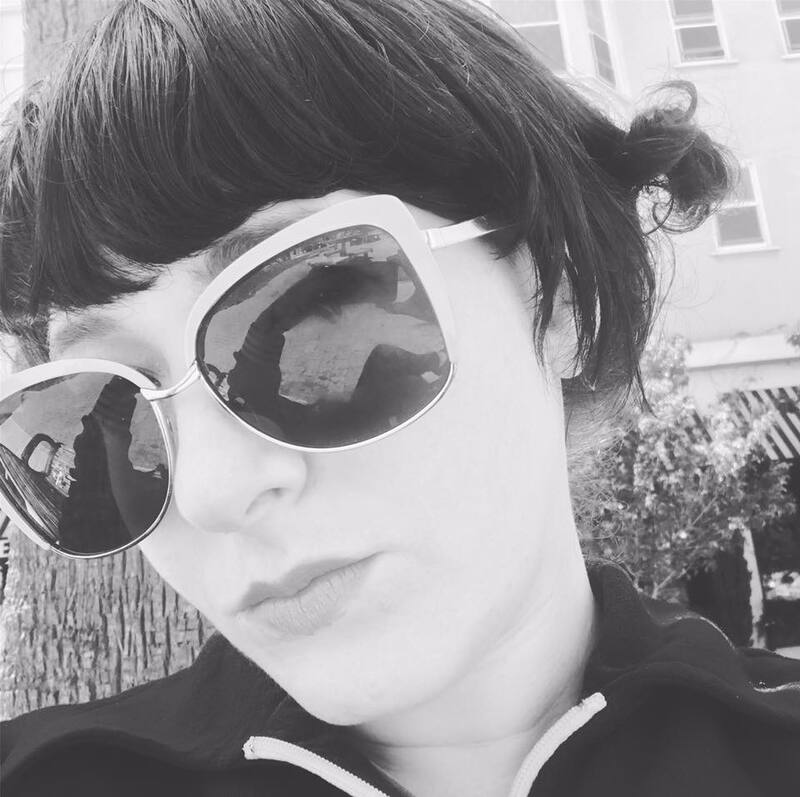 She teaches best practices for product design, builds community, and works across the Marketing & Product Team. Andi is also the Founder and Producer of Cascade SF, an experience design for technology organization in the Bay Area. Her events provide a go-to space for product designers to learn new skills, connect with industry leaders, mentor, and stay ahead of the job market. Everyone works together toward a more fulfilling career. Since 2011, Andi has organized hundreds of design and technology events to bring communities together. She coaches designers to create presentations, write blog posts, and become leaders. 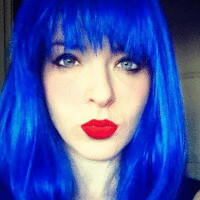 Follow Andi on Twitter @andigalpern.